This page details one of the most important aspects of Panacea-BOCAF. During the reading of this article you will see why we are in the process of setting up a granted, non-profit, publicly owned research and development center. 1. The research, rediscovery and manufacturing of open source, alternative FREE energy technologies. 2. 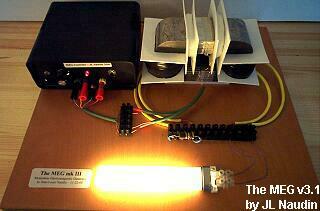 The support of proprietary inventions in the said alternative FREE energy movement. 3. The physical safe haven for inventors and engineers who wish to relocate, in order to better advance their research and development in the alternative FREE energy movement. 4. The creation of the largest FREE alt.energy library in the whole world. 5. The holding of public, educational conferences for widely informing any and all interested people with the basics and the advanced discoveries by the alternative energy movement. 1) A faculty division to disseminate education of alternative/suppressed/sustainable energy. 2) A museum, and energy conference facility. 3) A manufacture and research and development lab. 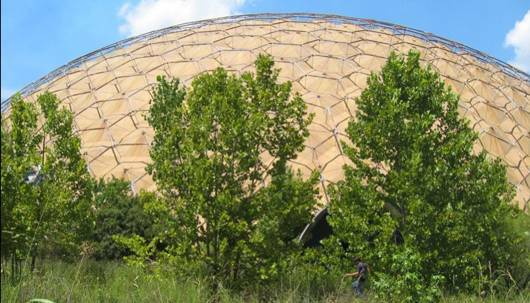 The Panacea domes will be made from renewable materials like hemp. 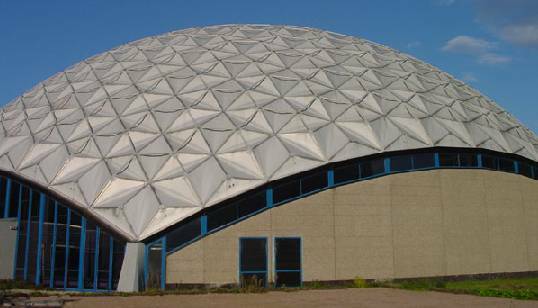 Also the centre will comprise a solar co-generation power source by utilising the dome design's space for the availability of Solar panels. which is available for solar panel application. Inside view of the example two design. The Panacea Research and development center is intended as an international symposium and also for functioning as an educational institution. The rest of the information on this page is intended to be a crashcourse on why there is a need for a center like this. The intent of this website is to structure the full wealth of specific information available, into an understandable, cohesive, and sensible set of freely available educational articles. The object of these articles is to enhance and update the scientific understanding of individual people and scientific communities as a whole. It has been proven time and time again that people who have been educated into thinking in a specific way, are extremely reluctant to set that way of thinking aside for a moment in order to entertain new, out of the box thoughts. Our aim is to keep researching and connecting the dots until we find out what exactly is not completely understood about these devices - and how to improve their working. The Panacea Online University and physical Research & Development center exists (in the case of the online university) and will exist (in the case of the physical center) to enlarge, to finetune, to clarify, and to enhance the currently accepted truths of science. They also exist in order to prove that the scientific books are not the be-all and end-all of scientific truth - that anomalous phenomena encountered by well-meaning inventors and researchers, throughout the ages, merits further investigation, and that this type of cohesive and comprehensive research cannot be accomplished on a shoestring budget, alone, or by trying to convince skeptical investors to fund you, or by trying to collaborate with members of the scientific community for additional extra personnel and research-time. The members of the scientific community are almost always unable to comprehend the worth of the theory, schematics or device, because of the way they have been educated to think - and because the inventor has not been able to create a in-the-textbook theory for the creation of said phenomena. Unfortunately for us all, the taught members of the academic scientific community, also, almost always hitch onto specific terminology, and if the inventor uses his own jargon, the two are unable to meet in a cohesive, positive and constructive way. In addition to difficulties with agreeing on a terminology, the collaboration is held down by the fact that what the inventor is trying to discover, is not in the textbooks, and thus anyone, who is more interested in making sure outside-textbook things match the textbook, will be much less interested in finding out if the practical experiments actually disprove or augment what is in the textbooks. Why would the workings of these devices not be in the theoretical, formula-based textbooks? Because they are mostly new and original thinking, not classic training-based. If your map does not tell that there is a continent there, you can either go by the map, or by what you have experimentially verified with your own eyes and testing equipment. There are many shapes and forms of private, individual values. Some believe that the most valuable stance for palatable life on this planet is "might over right", a selfish, everyone-for-himself and me-for-myself way of life. When everyone is looking out for only themselves, it is easy for such people to be drawn, nay, attracted towards eachother, and for them to see the sense in grouping up and organising themselves so that there are immense benefits for every member of the selfish team. This gain, however, comes at the expense of non-team members meeting with unbalanced transactions when dealing with the forms of influence set up by the team-members. While there are many shades of the selfish team, sometimes appearing even in well-meaning individuals, there is also the polar opposite which is me-for-everyone, a more constructive, holistic and positive set of values. It can be said that these two are diametrically opposed to eachother, i.e. whoever is interested in finding a way to provide electricity for everyone for free, is met with his polar opposite - a person who wants to charge everyone for said electricity, forever. How else would he make his profits? Same with finding new and alternative fuelsources, the person selling currently accepted forms of fuel would, obviously, be more interested in selling what he already has rather than facing a rocky move to a new form of producing fuel and/or selling it. Some of the unbalanced thoughts arising from the encountering of new forms of energy transformation and production, are fear-based. If you are afraid that your own company will go bankrupt if you do not discourage the development of a new form of producing energy, you will act to quell your fear. In fact, you will be more interested in present self-preservation than the future benefit of all. The other form of thinking (these are merely offered for achieving maximum contrast) is that we, as individuals, must work towards the betterment of all technologies so that they can be applied by everyone and given to everyone as part of the basic human rights. And to also make sure that these devices do not violate the rights of nature, thus endeavouring to minimize the ecological footprint. What closely follows is that the development of technology should be in the hands of people who are interested in leaving a legacy of a better way of life for all our children - and a cleaner, less polluted planet. From the side of the selfish team, it is obvious that information withholding is one of the easiest way for increasingly accessing greater amounts of power and control, and thus our innocent children grow up, educated into a system that instils a form of distrust towards the overhauling of the said system. The reasons for this are obvious, you cannot be a functioning member of a form of society, if the society educates you into doubting its viability - and constantly encourages you to completely re-write all books as to the form that the society can, or should take. So either we go by selfish interests, or by a holistic, mankind-as-a-whole type of interest. If we go by the latter, then it is imperative to build a life of equality, sustainability, whilst also advancing the civil and environmental rights of the public. The articles on these webpages present a mixture of viewpoints towards these topics. Critical thinking and constructive brainstorming are in order, if you wish to reach the audience - that is - the public - with the necessary thought-promotion towards the provided solutions. Please keep this in mind whilst browsing this website. We are striving towards a goal that the public regards as utopia. Our individual research efforts have proven that it is neither an utopia nor an impossibility, but a reality waiting to unfold. It can only be achieved by mutual co-operation and by striving towards a wholesome set of values. We are truly all interconnected, and thus, inseparable. Quote: Corporate capitalism is not sustainable by its very nature. It is predicated on infinitely expanding markets, faster consumption and bigger production in a finite planet. And yet this ideological model remains the central organising principle of our lives, and as long as it continues to be so it will automatically undo (with its invisible hand) every single green initiative anybody cares to come up with. Much discussion of energy, with never a word about power, leads to the fallacy of a low-impact, green capitalism somehow put at the service of environmentalism.In reality, power concentrates around wealth. Private ownership of trade and industry means that the decisive political force in the world is private power. The corporation will outflank every puny law and regulation that seeks to constrain its profitability. It therefore stands in the way of the functioning democracy needed to tackle climate change. Only by breaking up corporate power and bringing it under social control will we be able to overcome the global environmental crisis.-Robert Newman; End quote. When one starts looking at, and researching the alternative energy movement, one quickly comes up against existing, alarming evidence in relation to its suppression. This suppression goes against the interests of the general public, and only the people behind the suppression and the withholding of money stand to benefit. Not their children, and not the children of their children. Neither do you as a member of the public, nor the people researching and developing these advanced technologies. You can read more information on the evidence and facts, from the sections titled "R and D Principles" and "FREE Energy Suppression". You might be very surprised to find out what has been kept away from the general population, when it comes to devices that would, when developed, enable one to disconnect from the electric grid and to live a sustainable, off-the-grid life, if they so choose. It is important to become familiar with this type of evidence, in order to more fully comprehend why working together is the only solution for improving the current situation. Panacea-BOCAF is your own non-profit organization - therefore everyone grouping up and assisting an organization, that already counts you as a member, will achieve drastic improvements for the whole situation that mankind is facing currently. The focus of Panacea-BOCAF is on progressing with a global approach. This approach is centered towards the building of a centralized core of knowledgeable, co-operative people, without any limitation to race, country or creed, similar to Doctors Without Borders, and Engineers Without Borders. This would be for the sole purpose of sustainable development - by anyone's definition. Operating within an open forum -type scenario, like-minded individuals will all be researching and progressing towards viable technological improvements and enhancements. The research and development center of Panacea-BOCAF has the capacity to provide secure work conditions for this field of interest, without the political and economic pressures otherwise present, which allow for public censorship, ridicule or worse. We will be working on tapping funds from public funding drives, philanthropic groups, educational, governmental and individual interests. These funds will be put into constructing the research and development center, which will also act as an educational institution, towards developmental goals that will benefit our children. The public face of our entity will be one of calm, care and concern - also, security. Panacea - the organization - exists also to recruit and consolidate the non-profit organizations that have been established worldwide, and the opensourced engineers and inventors who are experienced in alternative and suppressed energy technologies, into the said center. As of right now, Panacea has over 800 registered open-source engineers who are ready for this task. A potential 7000 exist on an affiliated internet forum whom are prepared to contribute towards the proposed granted center. This will result in pilot scale feasibility tests of the devices and will also result in the formation of a new faculty division for the education of the public on secure, green, free energy technologies. Outlines and summaries of these devices and principles are provided, in further detail, at the following two sections, entitled R and D Principles and Zero Point Energy. This organization exists to provide further momentum and safer conditions. Also, the organization exists to prevent suppression, by educating the public and by keeping the public informed. The Panacea research and development center will function towards keeping the technology secure in the public knowledge, and thus unregulated by external influences. Open-source disclosures are the simplest way for making sure that all information is available to a worldwide audience. Another facet of the center will be to protect the inventors, by keeping them completely in the public eye. The input of this knowledge, and the input of the engineers currently alive, towards the research and development at the center, are urgently required in order to provide the possibility for free education, productive investigations, reliable verification and further feasibility studies of these devices. Once all this has been re-discovered, the production of the devices can start, away from any corporate cartel influences or buyout-schemes. If one day the center receives a threat to stop working on one type of device or another, rest assured, we will let the public know. As stated before, the center will be in the eye of the public. The public will be well aware that alternative energy research is conducted at the center - and will be very interested to find out the results, and to also entertain the ramifications of this process. Empirical investigations, included on this site, show that corporate cartels are behind the financial decisions to regulate and keep such information from reaching the access of the public. Thus the basis of the functioning of the center will be on social reformation as well as on the scientific. The public will be made aware of why the center has been established, and what types of subject matter are involved. The providing of education and technological know-how, focused on public production, by public hands, acts towards the reforming of particular political and economic conditions which exist today - not to forget the un-ethical corporate environmental desecration which our planet is subjected to. The granted center enables security towards higher efficiency power management methods research and development. 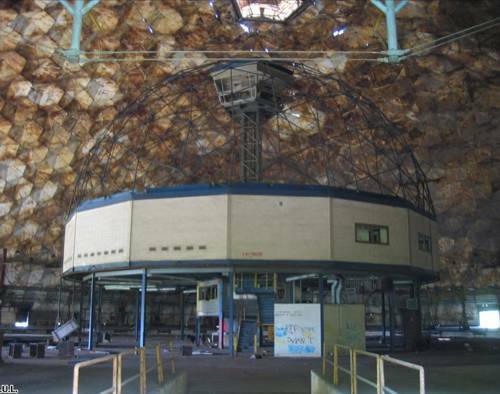 The security provided by the publicity of this center, auto-regulates the criminal elements who are currently busy subjugating the public for profit, by suppressing alternative energy inventions and inventors. As you navigate through the pages on this website, the evidence and the scale of the suppression will become ever clearer to you. We have also taken the time to prepare a page purely on energy suppression, divided into many separate articles detailing facets of this hindrance hat has been going on for decades, even over a hundred years. This process towards the resurrection and worldwide knowledge of suppressed, open-sourced and proprietarily licensed alternative energy technologies, is quite simple to set up and very simple to maintain. Public ownership of these technologies is the most important thing - to keep these devices from slipping away like shots fired in the dark. Public ownership by public knowledge. Opensource is the answer. One common theme is present in all of the already established organizations, individuals and technologies, as to the goals of the task. The progress does not lack proven working technologies. The progress does not lack qualified open-sourced engineers who can operate the infrastructure. The progress does not lack already established organizations dealing with these particular areas, organizations that have volunteers available and who are ready to work on such issues. The progress does not lack research and development potential to produce open-sourced, public, free energy technologies. The progress does not lack the intellectual capacity within the engineering communities to reconstruct and resurrect past suppressed technologies and to develop new emerging devices. The progress does not lack enthusiasm, growing support from the public and there is no shortage of additional new engineers becoming familiar with the technologies and education, neither does it lack engineers who are ready to donate their time and equipment towards this research. The progress lacks funding for a public center. Funding via grants, to enable a research and development center to study, to educate the public, and to produce the technology. To put it in a nutshell, an amount of money and a safe space- and time. Unbeknownst to both the general public and the scientific faculties, there are globally established communities of engineers in existence - communities that are working with, both open-sourced and suppressed, alternative technology principles. There are also proprietary inventors in existence who have invented cleaner, more efficient, alternative energy technologies to replace fossil fuels, but lack the funding for the development of such devices. They are hesitant to go public, as most of the public would not understand what the inventor is planning - and the public would, then, turn towards the scientific community, who will look at it and see no connection to their textbook information. The trusted scientific community will then respond to the public and tell them that there is no worth in it - no worth, identified by knowledge that is based on information acquired previously. These original forms of research and development, and the types of engineers who time on them, are already known to Panacea, and the organization is ready to step up to the task of consolidating all of the publicly available knowledge into a research and development environment, for the purpose of performing a service to the public - or, public service. Through many years of empirical research, these various communities have, through disclosures at the annual energy conferences held worldwide, and via internet-based forums, shown the technical capacity required towards the resurrection of past, suppressed, energy devices, also and the capability to further perfect the R and D involved, providing working, alternative, opensourced, energy technologies. All of the people described herein are ready to work in the opensourced research and development environment. All that is required are the grants to put the technologies into production. That’s how advanced, and, stagnated, the current situation is. The empirical research of Panacea has shown that the mainstream press, the various government, and the local universities faculties lack the awareness, the enthusiasm, the political motives and the understanding to comprehend the involved content. This disinterest has been instigated towards achieving of agendas based on corporate profit motives. Hence this R and D field has remained suppressed, and the general public will not be aware of the background of the individuals, organizations, and technologies waiting for the critically needed consolidating of all such knowledge into the center - and the funding. Thus an essential background and introduction is needed, to further explain the requirement, and also the justification for the public to grant this center. There are technically advanced and established organization(s) dealing with opensource, suppressed and alternative energy technology that lack essential funding and resources. Low Energy Nuclear Reactions Processes (LENR), Propellerless and field propulsion systems. All of which can upgrade current technologies and improve energy efficiency. Their institute is also supported by the UN, as Kofi Annan has given the institute his support in this statement. 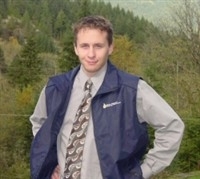 Adam Trombly is the founder/publisher of project earth. Adam Trombly is an internationally acknowledged expert in the fields of Physics, Atmospheric Dynamics, Geophysics, Rotating and Resonating Electromagnetic Systems, and Environmental Global Modeling. Taking the advice of his friend and mentor, R. Buckminster Fuller, Adam has maintained a "synergistic, global view" within a multi-disciplinary scientific background. From this perspective, Adam offers unique insights into the changes humankind has effected on our environment, and the adjustments our future requires of us now. Adam has been working for years to educate the government and public how we could have rapidly produced and deployed technologies, which were long ago reduced to practice by both private and government scientists, which can produce all of the electrical power we could ever use without one ounce of pollution. And yet these technologies are used in secret by a usurpative few for who knows what purpose. 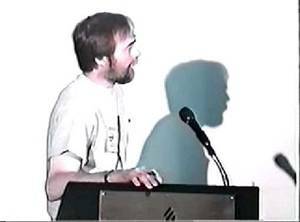 Next we have Jerry Decker, who has organized several energy conferences, and who also runs the famous Keelynet.com forum - which some of you might be aware of as having been the KeelyNET BBS. Jerry Decker is a very inspired and devoted founder of KeelyNET, a network focusing on alternative science and energy technologies. Jerry Decker has a professional electronics background in Technical Support and Machine Maintenance of 22 years. Jerry is a firm believer in information being freely shared, particularly free energy and gravity control technologies. The goal was, is and remains quite simple: to assist, to inspire and to catalyze workable alt. science technologies that everyone can duplicate, to verify them and to then put them into a practical use for the benefit of our world. Jerry Decker has a similar concept to Panacea's goals to create a FREE energy research and development lab. Through the KeelyNet conferences, Jerry has pulled together a whole community of engineers, devoted to the resurrection of suppressed technologies. These are engineers, who have the intellectual capacity to advance, research and redevelop the suppressed technologies, and to upgrade the already available open-source energy technologies. These conferences promote particular new and suppressed technologies and information, with the aid of lectures by opensource engineers such as Norman Wootan, Doug Konzen, Dr Peter Lindemann, plus many others with highly acclaimed technical capabilities and experience. available free energy sources and past suppressed energy technology. Peter Lindemann DSc, became interested in Free Energy in 1973, when he was introduced to the work of Edwin Gray. By 1981, he had developed his own free energy systems, based on utilizing variable reluctance, and had also come up with functioning pulsed motor designs. 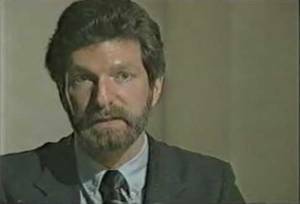 During the 1980’s, he worked, on and off, with Bruce DePalma, another researcher whose devices were suppressed, and Eric Dollard. In 1988, he joined the Board of Directors at Borderland Sciences Research Foundation, and served until 1999. 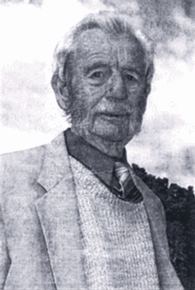 During this period he authored more than 20 articles on various alternative topics such as Radionics, Lakhovsky’s MWO (Multiple Wave Oscillator), and Free Energy. Dr. Lindemann has also been a research associate of the late Dr. Robert Adams, another pioneer in alternative energy devices, hailing from New Zealand, and also Trevor James Constable in the USA. Peter is also the Director of Research for his own company, Clear Tech, Inc.
KeelyNet's conferences are well-respected in the alternative energy field, and famous for showcasing, discussing and demonstrating the results of advanced alternative energy research. George Wiseman - As much as anything, it's his commitment to patent-free technology development that has earned George Wiseman a champion reputation. Openly sharing research findings benefits everyone by constantly elevating the standards of viable energy solutions. George is the developer of Browns gas generators. Dan Davidson - Dan has researched alternative science subjects for many years. As an active experimenter, Dan has documented his results in several books. 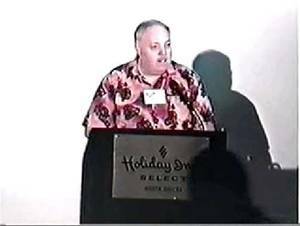 One of his lectures describes the basics of his Shape Power discovery - the latest research findings of the resonant frequencies associated with anti-gravity effects related to the pyramid shape. Currently, Jerry is studying, experimenting and working to develop a research lab for the carrying out of advanced experiments, involving many aspects of 'alternative science'. It should be obvious to all readers of this page that the center being set up by Panacea-BOCAF could easily cater to the requirements of Jerry Decker. There are no established faculties or educational centers that deal specifically within the medium of energy transformation principles. The Extraordinary Technology conferences held annually by TeslaTech, along with all the other energy conferences, have been the only forms of exposure of this research and development, open to the public. The conferences held by TeslaTech showcase people who are involved in educating and disclosing opensource, alternative and suppressed energy technologies. The Extraordinary Technology conferences have also featured prolific researchers, without the individual contributions of which the public would have no access to the information on particular devices and scientific principles. Current university faculties are unaware of the technologies and the education involved. The history of conference disclosures of principles and of the inventors is described in further detail in the R and D principles section. Further background of Zero Point Energy is explained in the introductory detail at the section entitled Zero point energy. Moray King - who gave a review of Zero Point Energy theories and the evolution of the field, citing several dozen refereed papers; said implementation is not technology limited but politics limited (suppression). Plans to compile the presentation into a booklet. Thomas Valone, Ph.D. - who also gave a review of Zero Point Energy (ZPE) theory focusing on evidences from Nanotechnology, citing peer reviewed papers. Discussed the Casimir effect and that ZPE is not "conserved". Evidence that gravity and inertia are effects of ZPE. Repulsive Casimir effects seen. In some cases Casimir forces change sign / polarity as temperature is increased, indicating a way to manipulate ZPE. Hal Fox - who gave a listing of more than a dozen scientific principles that are questionable and need to be re-examined. Hal gave listing of more than a dozen primary scientific paradigms in question that needs to be re-examined in light of new research, including Einstein's relativity, big bang, and limitations of speed of light. Frank Germano - who presented extensive research and development into Tesla turbine and pump technologies, along with the water and implosion technologies of Viktor Schauberger. Frank has done extensive research and uncovered working principles in both genres of the technology, but lacks the resources to upscale. Report source. Despite the multitude of TeslaTech disclosures, the general public is still unaware of the potential awaiting the world in this alternative and suppressed energy field. For more details on the Extraordinary Technology conferences held by TeslaTech, the technologies involved, including advanced medical treatments that requires support, please consult their website. Quote: "Open Source Energy Network facilitates energy technologies that efficiently tap into free, clean and renewable power sources. Our shared goal is to move the planet toward energy independence for the sake of survival and abundance. To accomplish this OSEN provides easy-to-use yet powerful tools to network inventors, scientists, researchers, investors, donors, businesses, governments, teachers, media and end users. OSEN has made contact with a large number of engineers involved in the common alternative/suppressed free energy technologies, and OSEN also serve as an essential broadcasting base for the current climate. The sad news though as of 2008 the site is no longer with us. The organization, however, lacks a GRANT supported research and development center - one with adequate facilities for production, education and testing of the technologies - OSEN already have the technological know-how to report on the newest discoveries - so this would be an obvious synergetic combination, rife with possibilities. One engineer of note, contributing to OSEN, is Lt. Col Thomas E. Bearden (retd.) PhD, MS (nuclear engineering), BS mathematics, minor electronic engineering), co-inventor of a patented over-unity EM generator (the 2002 Motionless Electromagnetic Generator). Tom has just released the second volume in the documentary series "Energy from the Vacuum". Both volumes show proof of devices and technologies, which the mainstream faculties have failed to investigate and bring into their curriculum. The documentary series, furthermore, show proof of devices and principles which have been suppressed from the general public, laying out details of people and devices, that have faced suppression and how they were hindered, and sometimes, stopped. Quote- Led by world renowned physics conceptualist and nuclear engineer Tom Bearden, who was filmed over two weeks in his home in Huntsville, Alabama, he and the cast of experts bring a message of hope for these troubled times by validating the extraction and harnessing of the only real viable energy source capable of providing the planet with a sustainable future. -End quote Energy from the vacuum. The contributions of Tom, are essential in order to provide scientific data and proof of principles to stop the neglect that the mainstream scientific faculties shred alt.energy with. Quote - The struggle now is how to get the leading scientific community organizations to again restore Maxwell's original equations and theory, so that it frees up (at least gradually over some years of incorporation) our electrical engineering community to again get into higher group symmetry electrodynamics and asymmetrical electrical power systems. Tom Beardon -End quote. The current educated 'dogma' regarding electromagnetic theory, can be - and needs to be - upgraded via observational scientific proof, and it is this proof which Tom and many of the engineers mentioned here and in the Energy From The Vacuum documentary series can provide. If there is a replicable experiment that shows the existing theory as not fully waterproof, then this experiment should be accepted by the mainstream faculties and studied with the zeal of true science, not just shot down by armchair theorists who have learned their textbooks but have never done experiments that are not in the textbooks. 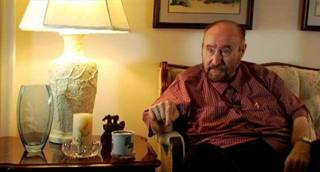 Tom has discussed his theories within quite a few documentaries. He has also written a number of books which address the related issues. Tom has also presented working principles and scientific papers on his site, yet despite it all, the faculties continue to ignore him. Quote- A Lieutenant Colonel U.S. Army (Retired). President and Chief Executive Officer, CTEC, Inc. MS Nuclear Engineering, Georgia Institute of Technology. BS Mathematics, Northeast Louisiana University. Graduate of Command & General Staff College, U.S. Army. Graduate of Guided Missile Staff Officer's Course, U.S. Army (equivalent to MS in Aerospace Engineering). Numerous electronic warfare and counter-countermeasures courses. Tom is a leading conceptualist in alternate energy technology, mind/matter interaction, EM bioeffects, paranormal phenomena, parapsychology, psychotronics, Tesla technology, and unified field theory concepts. He is the leading advocate of scalar potential electromagnetic, and has worked with several inventors involved in alternate energy devices and scalar electromagnetic system prototypes. Another open source researcher who has had extensive empirical experience and who also has extensive qualifications is Jean-Louis Naudin. JLN publishes his investigations and findings openly for all and sundry to replicate - he is also a very willing participant of the free energy scene. The primary focus of JLN Labs is investigating open source, unconventional, suppressed/alternative energy technologies - for the purpose of researching and developing them further. JLN labs explore a significant number of theoretical higher efficiency, or 'overunity', claims from past to the present - the results are disclosed online - publicly and not-for-profit. Electromagnetic Generator of Tom Bearden. The succesful overunity replication of the MEG by JLN Labs. In Tom's book entitled 'Energy from the Vacuum' on pages 209 to 217 he states 15 separate reasons why COP>1 (Co-efficiency of performance) devices have not yet reached the market, including the New World Order conspirators, the Illuminati, and the usage of murder and intimidation. Page 288 gives specific details of the murder of Stefan Marinov. Page 289 gives details of an attempt on Tom's own life. Tom Bearden is now getting to be old and frail. He is about 78 and the recent DVD series on energy concepts shows him coming down a flight of stairs one step at a time. You only go that way if your health is failing and you have to be careful. In the first volume of the DVD series, Tom mentions that he needs engineers to resolve the 'tuning' issues of his MEG device. These engineering issues can be resolved by engineers in the Panacea granted R&D center. All of the other problems such as lack of funding, suppression, and ridicule, can be resolved by the same said center. Additionally, even to this day, the mainstream scientific circles, the mainstream press and the general public are unaware of the scientific and political themes disclosed at the Weinfelden Energy Conference. 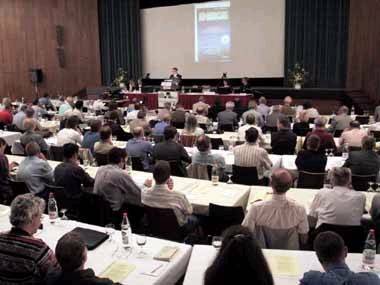 The Weinfelden Alternative Energy Conference. Quote from a recent report: The idyllic Swiss town of Weinfelden saw an audience of some 200 energy research interested people gathering to hear distinguished researchers talking about future energy technologies and some encouraging results in the gravity research field. During the two day conference, all the audience concentrated on the lectures prolonged by listeners' questions late in the evening. What did keep all these people so nonstop in the lecture hall? Having once attended the lectures of some of the most promising people in the leading edge of energy research was not only interesting, it also gave faith and belief in finding environmentally standing solutions for the future energy problems. Although we currently feel little necessity to act for contributing to any of these new environment friendly techniques, the next generation may feel otherwise compelled by stepwise rising conventional energy prices and sudden fuel shortages. It is encouraging to see that so many people feel willing to provide alternatives for our future to cope with the growing need for human energy. It is totally different matter if we are ready to accept even slow, gradual switching to new energy sources even if they were nonpolluting, inexpensive and potential for using in any place in the world. The other side of the coin would be structural changes in societies by means of waning employment in oil and nuclear energy production and distribution along with cuts in state income taxes and jerking traditional structures of authority. A complete list of the Weinfelden energy conference speakers available for the submitting of educational and technological know-how into the granted research and development center is available, with further details, at the R and D principles section. Furthermore, the New Energy Movement conference is a willing participant in the alt.energy genre, also discussing the social and political themes related to alternative and suppressed energy. The NEM recruit engineers who are waiting to contribute and to consolidate their know-how into a center for the common goal of establishing alternative and suppressed free energy technologies for sustainable development. The following is a summary listing of participants - for introductory purposes. A Quote forms the 2004 Report: The New Energy Movement Conference September 25-26, 2004 in Portland, Oregon, USA, sponsored by New Energy Movement. Their conference aim is to present evidence and information on how to overcome the political oppositions to new energy. And to further present discussion of promising technologies on the horizon that will provide clean, inexpensive, decentralized and safe energy. Motto: "We recognize that the single most highly leveraged opportunity for advancement toward solving complex global problems lies in a transformation in the way human civilization generates and utilizes energy." Conference Topics Included state-of-the-art in new energy technologies. Overcoming suppression of new energy technologies by mainstream science, media, government and vested corporate interests. Transition strategies to new energy and societal impacts. The new energy assessment criteria is for selecting new energy options. Strengthening public and private initiatives to develop new energy. Public oversight vs. privatization of new energy development and distribution.Previously at the conference, the speakers and content included:Tom Valone Reviews a Myriad of Alternative Energy Technologies - The travesty is that the global warming we are experiencing is entirely unnecessary -- if we would but just pursue these alternatives that have been available for so long. Martin Berger Reviews Tidal Energy Technology - Speaking at the New Energy Conference in Portland, Sept. 26, 2004, Berger presents an overview of the present state of the technology, including that of his company.Ken Rauen Gives Examples of Violations of the 2nd Law of Thermodynamics - Rauen reviews the research he has done and the mathematical proofs he has composed that show violations of science's "cardinal" 2nd law of thermodynamics. Win Lambertson Presents E-Dam - Gives overview of his solid state energy device that he claims is 153% efficient. Greer Flexes the Muscle of SEAS Power - Keynote speaker at the New Energy Movement conference in Portland takes no gruff from the opposition. Offers his company as a shield for inventors with real energy technology to bring forward. O'Leary Calls for Man to Harmonize with Zero Point Energy - Aiming for energy solutions that are clean, have zero emissions, are affordable to everyone on the planet, feasible and reliable, benign (no weapons use), decentralized, and are publicly accountable (no secrets).Aligning our Energy Doctrine with the New Paradigm of a New Time - Seasoned theorist, Mark Comings, says we don't have an energy shortage, we have an integrity shortage. What we need is the will to embrace and adopt these plentiful energy sources that are available. 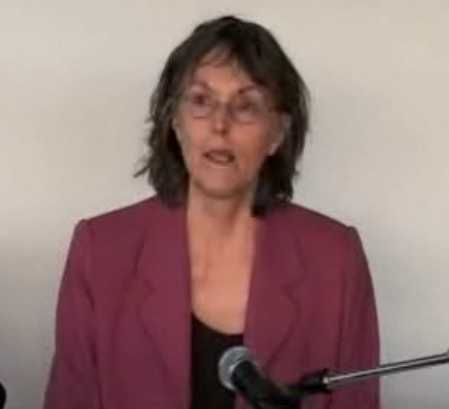 Jeane Manning Reviews Viable Alternative Technologies -Speaking at the New Energy Movement conference in Portland, Oregon, Sept. 25, 2004, Manning described several technologies of promise to bring relief to the world's dependence on fossil fuels. The New energy movement sum up the current climate perfectly with their mission statement. Quote- The Challenges, Global climate change… escalating pollution of land, water, and air… accelerating habitat destruction in the forests and oceans… rapid decline of plant, animal, and fish species… swelling human population… grossly imbalanced resource allocation among nations… huge disparities in human living conditions… price and supply volatility in energy markets… international tensions, terrorism, and war…These are the critical and unprecedented challenges facing our civilization which inflict a terrible toll on our people, our companion species, and the planet itself. If not reversed soon, they threaten to end human life on Earth. Our survival will require a vast and dramatic shift in how human civilization generates and uses energy. Without a revolution in energy, we will not be able to act with the speed and scope demanded by the climate change emergency we face. With this revolution we will be able to create sustainable and just economic development required for world peace. Our Mission- The New Energy Movement (NEM) acts to promote the rapid wide spread deployment of advanced, clean, and sustainable energy sources across our imperiled planet. This transformation in the way our civilization generates and uses energy provides the best physical means to protect the biosphere, remediate ecological damage, and enhance the health and well-being of the global human family. NEM's major priority is to educate the public, policy makers, and investors about the need to support research, development, and use of zero-point energy, magnetic generators, advanced hydrogen processes,and other little-known powerful energy technologies now emerging from inventors and scientists all over the world.New Energy Movement views transparency as fundamental to the success of our mission. While individual and community activism are the pre-cursors to social change, superior coordination of what must be a truly broad-based effort occurs when all contributors are allowed to cross-fertilize in a public forum. To this very day the organizers of these energy conferences have no grant support and have received no interest from governments or public faculties. The private efforts of these individuals are the only way of providing the opportunity for the public to learn of the research conducted by the speakers, their technologies and their non-profit goals. These alt.energy conferences and the information supplied in them, could be consolidated together to form a larger curriculum to be made available worldwide for free via the opensource panacea university. The fact that some of these conferences also discuss energy oppression by spurious corporations means that visitors of these energy conferences could also get the other side of the picture, i.e., why things are not happening as fast as they should be, even with technologies being available. Further evidence of this is contained in the Energy Suppression section. Additionally there is a myriad of other R&D and patents which fall under the same class of non-progress due to political influence. For a larger (never complete) list of these, please consult the "R and D Principles" section. Another organization, which is already actively contributing, and which is able to provide input and support - with a very diligent message - is the New Energy Congress (NEC). Quote: A Word to the Wise:You've heard the saying, "He who is one step ahead is a genius; he who is two steps ahead is a crackpot." That saying applies to the world of ideas. In the marketplace, it can be rephrased as follows: "He who is one step ahead is very rich; he who is two steps ahead is very dead -- or at least much persecuted." If you have a "two steps ahead" technology that is nearly ready for introduction into the market, you might consider purposely ratcheting it back a notch or two so that is resembles a "one step ahead" technology. Then, once you have your foot in the door, and your reputation established firmly, the "two steps ahead" will only be one step ahead. The only way a two-steps-ahead technology could be introduced would be through open source, where a simple set of plans for an easy-to-build device are published openly for the world, impossible to stop by the powers that be.The NEC Focus on energy systems that tap into inexhaustible, ubiquitous, and clean sources of energy generation, such as solar, wind, tide, and geothermal, but also including non conventional avenues such as radiant energy, cold fusion, zero point energy and magnet motors. The purpose of the congress is to provide quorum review of leading technology claims, to assess viability and prioritize. The NEC are attempting to do something meaningful toward ending the frustration that comes with all the misinformation claims that float around and to legitimate the science involved. This is another function of Panacea's research and development centre which can serve this very purpose. The NEC require a central location, with a laboratory, for their own role of technology evaluation. They also state - which should be of note - that opensource takes priority over proprietary evaluation scenarios. 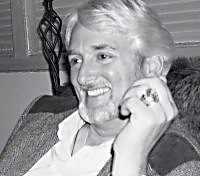 The Late Dr. Robert Adams of Aethmogen Technologies aspired to provide the public with information about the wondrous aetheric science technologies in development today. Dr. Adams was internationally acclaimed [yet publicly unknown] as one of the worlds leading scientists in research into new, clean, energy technologies. 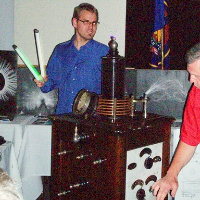 The past position of Dr. Robert Adams was involvement in research and development of the Adams Super Power Thermo Impulse Salient Pole Open Magnetic Circuit Reluctance Electric Motor/Generator, which incorporates the development of the science and technology involved in harnessing aetheric energies via the application of the electromagnetic. Dr. Adams has publicly disclosed his energy-device in Nexus magazine for anybody to replicate, after the frustration caused by patent/corporate suppression. His research and development requires faculty education and device testing - which can be perfected in the center. Another pioneering researcher who has already been speaking of political and technological matters in the previously mentioned conferences is Tom Valone. "Free Energy: Race to Zero Point"
Tom Valone, much like Tom Bearden, is an essential individual whose scientific feasibility studies of Zero Point Energy are critical for upgrading the education of scientific faculties towards cleaner energy. Tom's unique feasibility studies of Zero-Point Energy extraction from the quantum vacuum, for the performance of useful work, are essential in preparation for this task. Tom's important scientific study details the scientific literature regarding the non-thermal vacuum fluctuations that comprise Zero Point Energy. No faculty in existence is familiar, or accepting, of this groundbreaking assessment of the feasibility of zero-point energy extraction, by humans, from the quantum vacuum, for the performance of useful work. The study details potentials and testable utilization in the electrical, fluidic, thermodynamic, and mechanical conversion modalities. An outline of the R and D feasibility study Tom contributed is profiled in further detail in the Zero Point Energy section. The contributions of Valone and Bearden would be viable submissions towards the faculty section of the center, for educational purposes, to lift up the public knowledge of Zero Point Energy. Panacea is presently collecting data to complete the ZPE faculty course, please consult the Zero Point Energy page for more information - you can also support this venture on the page.Panacea have also launched an Online University, dealing with Zero Point Energy research and development. Currently Tom Valone operates the Integrity Research Institute (IRI), a non-profit organisation dedicated to helping establish integrity in scientific research, primarily regarding the physics of energy, whether it is in the technical, environmental or healthcare areas. An overview of the IRI is: Quote: The exciting mission challenge of IRI positions us to address the crucial aspect of wholeness, honesty, and completeness in the emerging energy sciences, with a concern for the future. "A deep commitment to scientific integrity is best achieved by providing sound training in scientific practices and the ethical conduct of science. Ideally, this educational process should begin early in the training of future scientists and continue through the most senior career stages." Commission on Research Integrity (1995) As we grow into a membership-driven organization, supplemented by private grants, IRI is committed to the vitalizing work of securing our future by investigating and documenting pioneering energy research. The Integrity Research Institute has over the years hosted events dedicated to energy research, future technologies and public education. 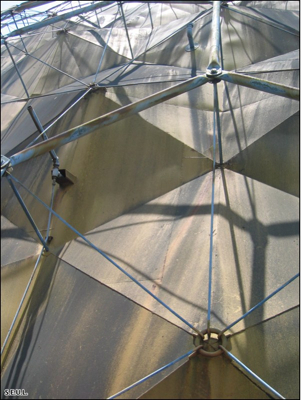 IRI research projects include energy generation, propulsion, communications and bioenergy. In addition to all the beforementioned, there is also the International Conference on Future Energy (COFE), which is dedicated to educating the public towards awareness and support to help advance the search for clean alternative energy. Quote- COFE is the culmination of 19 years of collaboration with top scientists in the breakthrough technology of free energy.The theme of COFE is the concept of alternative energy illustrated by a presentation of systems, models, machines, prototypes, and commercial products that offer to solve the environmental impact of fossil fuels by avoiding their use. These technologies hope to demonstrate sources of free and unlimited energy which require only an initial capital investment, amortized over 15 to 20 years in many cases. IRI believes that the answer to global warming is to replace and retrofit current technologies with alternatives that have comparable or better performance, but do not emit carbon dioxide. It's a noble goal and one that drew researchers, inventors, and futurists from around the world to share information and ideas. Many of the COFE speakers possess an altruistic philosophy when it comes to new energy sources that will benefit humankind and the environment, and freely post their laboratory results and data on the Internet, or will gladly share information by mail with interested parties. Valone roused cheers from the audience when he stated that this was the FIRST international future energy conference ever, and, "It's been a long time coming." Valone insisted that the failure to develop alternative energy sources is due to our social consciousness, not from any technical limitations. He also mentioned that Tesla had promised the world cheap energy 100 years ago, and how industrialist J.P. Morgan figured that since the power couldn't be metered and therefore charged for, he pulled Tesla's funding. But Valone had persuaded some of the world's most forward-looking researchers and scientists to come and tantalize the audience with new energy concepts. -End quote Source. Mr. Valone's organization and the conference engineers all require grants and the Panacea facility to operate to capacity. Many new, unheard-of-before possibilities will become a reality once the granted research and development center provides essential support to the multitude of researchers, lecturers and conference organizers.This is a part of Panacea's non-profit goals and has been coordinated with our online university in order to freely publicise and educate the public on higher efficiency power management R&D. Open source engineers worldwide have no way of receiving funding or grants from philanthropic organizations. They are not taken seriously. Full grant support and technical engineering support will be allocated towards the research at the Panacea research and development center. Consolidation with all the other researchers will be one of the goals of Panacea, and also the support of the whole research with public grants. Terry Collins further validates what we are saying. A champion in the field of green chemistry, Terry Collins is the founder of Institute for Green Science - Carnegie Mellon University, a center for research and education dedicated to teaching the world to think holistically about sustainability as it relates to the field of science. With the help of Chip Walters, senior manager of strategy and educational initiatives, GSI is moving into cyberspace with an innovative curriculum in green science that will take the Institute to the next level. “We’re trying an entirely new way to educate science students and the world because right now there aren’t any scientists who’ve been trained to be green,” explains Walters. “We’re trying to accelerate the big picture, create a whole new breed of scientist. The mission logistics of Panacea are urgently required to be able to create social reform by providing public facilities. These facilities at the research and development faculty will be assigned to the re-development of suppressed and alternative opensource technologies and the engineers involved in the research. To only study the alt/suppressed energy technologies in a proprietary role - like ANY other proposed R&D project -cannot - and will not - secure the social reformation needed for the devices. The exposure of the devices for public access is not just being done to cut the emissions, they are also being disclosed in order to be able to educate and therefore liberate the public, and to also provide regulation (something in which the government has failed thus far) of the cartels responsible for their suppression. A public, granted, open source energy faculty and a manufacturing facility need to be a part of our society for this to happen. The Panacea R&D Center is a part of the nonprofit mission which is required, by law, to be non-proprietary. Our goal is to establish the center, not so that others can just sell you another energy system - instead so that we all reach the objective that by striving for unity, we, the public, finally end the subjugation imposed by cartels, and enact social reformation via studying, raising awareness and manufacture of the technologies. The mission of Panacea is centered around the empirical harboring of alternative and suppressed FREE energy research and development. The same energy technologies will be applied to run the center itself. A further organization - which currently lacks grant support and the required logistics - which could flourish in the proposed granted Panacea Center - is the Advanced Energy Research Organization (AERO). Quote-Founded by Steven M. Greer, M.D., in July 2007. AERO is a new research and development group which will develop and strategically protect new energy and propulsion technologies that will completely replace oil, gas, coal, and nuclear power AERO is the group that is most strategically ready to develop, disclose and establish the long-suppressed technologies that will enable us to establish a truly sustainable civilization on Earth. It is time that humanity move on to its next level of development.This cannot happen with the internal combustion engine and fossil fuels. Time is short. Indeed time and obscurity are elements that must be overcome for success to occur. AERO CEO Steven M. Greer MD has a vast network of scientists, government contacts, political leaders, public supporters, financial backers, friendly military and national security contacts, media contacts and others to bring to this undertaking. A substantial 'brain trust' has already been identified and is ready to spring into action in support of these objectives.These include Ambassadors, prominent celebrity spokespeople, major media figures who have already agreed to help disclose the new technologies- and many others. And millions of people know of his work and can be marshaled to publicly support the objectives and needs of AERO.-End quote. Dr Greer has also Co- founded the Orion project which also has similar objectives as Panacea's propsed granted research and development center. The Orion Project is a non-profit foundation created to transform the current energy, environmental and social crisis into a world of sustainability and enlightened abundance.Dr Greer has summeriszed a majority of the themes in this video which need addressing through creation of the center. As you read this, the Advanced Energy Technology Colloquium have listed advanced technologies which need both faculty and grant support. Quote-Results of my investigation have been made available online. Based on the interviews and presentations over the past month, it is clear that advanced energy technologies commonly identified as zero point energy technologies are not only real but are being brought to full scale production in real time. Tod Hathaway is also responsible for Green salon dot com which outlines influentials who can provide MASSIVE funding if a working advanced energy prototype unit is presented.Green salon dot com also have the THE POTOMAC ENERGY PROJECT. Quote-The Potomac Energy Project is a monumental effort to develop and distribute the most advanced energy technologies currently available through unclassified research projects. These technologies will streamline private and government efforts to reduce our dependency on foreign hydrocarbon resources, while also reducing the negative impact of our nation’s energy consumption on the environment. These energy technologies will also decentralize our nation’s vulnerable energy infrastructure. Current trends make it clear that we are out of time to consider funding conventional alternative energy research through The Potomac Energy Project. Quote-The Planetary Association For Clean Energy, Inc. is a non-profit, charitable corporation whose objects are to facilitate the discovery, research, development, demonstration and evaluation of clean energy systems. The Learned Society also stewards the planning, coordination and implementation of clean energy systems on a planetary, continental, regional, local and indvidual scale. Jeane Manning and Joel Garbon have recently completed a book Breakthrough Power: How Quantum-Leap New Energy Inventions Can Transform Our World This is a perfect the reader-friendly book for introducing these neglected and suppressed FREE energy revolutionary systems. Jeane Manning and Joel Garbon both point out the rich variety of clean energy inventions that the public/faculties/Government doesn't hear or know about. Yet these topics directly relate to both climate change and the world economy and humanitarian projects. One of Jeane Manning and Joel Garbon short-term goals is to get the book and Energy Innovation Act draft legislation into the hands of key members of Obama's transition team. Further unknown to the general public, Orgonon the Wilhelm Reich Museum” is dedicated to preserving the Orgonomy of Wilhelm Reich. Orgonomy has many beneficial applications for humanity. These include Orgone biophysics, therapy,medical,child raising, social and political theories. Simply put; Orgonomy needs a complete public face. Wilhelm Reich's techology also includes RAIN MAKING CAPACITY (weather modification for drought relief, stopping fires, high winds and hurricanes) plus alternative energy research and development, yet despite this mainstream faculties and public awareness of Reich's discoveries remains non existent. All of these organizations and individuals prove the numbers are there. The Panacea plan is to also errect inferstucture to provide self-sufficent ecovillages for the participating engineers at the center as a testament to the technologically sustainable benefits provided by this field. 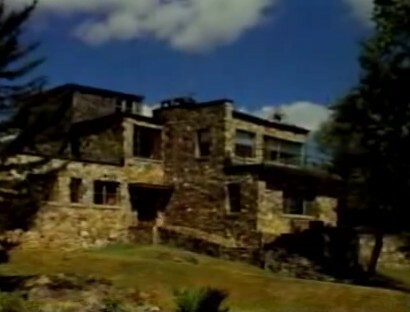 Please consult Lion Kuntz's Palaces for the people to view an example of the ecovillage. FreeEnergyNews.com - Daily news and directory. PESWiki.com - Publicly editable site, with directory and opensource energy project pages. This is realistically only about 50% of the available technical support - and enthusiasm - ready to perform the basic essential steps. This without mentioning the available, ready technologies which are profiled in further detail in R and D principles and Zero Point Energy -pages. Grants are the only thing preventing free energy NOW. Most grants mainly originate from oil companies or the pharmaceutical companies. Could there be a connection between the sources for grants, and the lack of results when it comes to technologies that reduce the dependency on oil and alternative health devices which reduce, or erase, the need for pharmaceutical-based healthcare? Panacea is a collective effort dedicated to what probably is the most important cause of all. Peoples freedom. Many registered charities and agencies help with the starving, the homeless, the sick and the weak but none are dedicated to helping to eliminate the CAUSE of all these things, that being greed itself. Only the word greed is far too damaging to be used in business and political circles and so greed goes by a more silent and perhaps less threatening name of economics. Panacea also works towards encouragement of inventors and scientists to take an alternative route to patenting their idea's and hoping to make huge sums of money from there work. Most people do not realise that a Free energy device or system can only be invented by a free mind. In this case one that is free from economics. No money can ever be made from a true free energy device or idea, because were it to be developed it would make money and therefore e conomics obsolete. Presently those with proprietary devices uniformly make the same mistakes as they do not have a central hub specifically designed to protect and ensure public dissemination of their technology. Further researchers are confined to a lack of resources in their own back yard and MOST do not realize that technical support is available through the current Alt and suppressed energy communities. Further recently it has been revealed that Exxon has been funding 138 anti-environmentalist front organizations! Further Washington - International organized crime groups control "significant positions" in global energy and strategic materials and are expanding holdings in the U.S. materials sector, the U.S. Justice Department said on Wednesday.A strategy on fighting organized crime released by the department also says such groups manipulate securities exchanges and conduct financial fraud to steal billions of dollars. It says they systematically corrupt public officials, use computer networks to target victims, and provide logistical support to terrorists and foreign intelligence services. enterprises are increasing in scope and magnitude as these groups continue to strengthen their networking with each other to expand their operations," said FBI Deputy Director John S. Pistole. - Source. The real issues underlying the alleged censoring of CSIRO scientist public statements is a long standing bias in the policies of CSIRO and government and their intolerance of unwelcome scientific evidence. For tWo decades or MORE the CSIRO has provided only small and erratic support to technologies that capture support to technologies that capture renewable energies or use available energy much more efficient while giving large and stable support to fossil fuels. The same imbalance is evident in broader government policy. By one recent estimate fossil fuels received at least 9$ billion per year in subsidies while efficiency and renewable technologies received no more then a few hundred million dollars chief through the mandatory renewable energy target.Generally government R and D support goes to project favoured by large existing industries - project such as nuclear power, industrial agriculture and generic engineering. More immediately available, cost effective and safe options such as energy efficiency and solar technologies are left begging and australia option are foreclosed. CSIRO should be leading the search for safe efficient earth friendly add productive industries of the future., rather then binding us to be doomed dinosaurs or expensive high risk technological fixes favoured by existing interests.Scientist whose judgment is contrary to government inclinations are ignored, undermined and censored in the name of economic fundamentalism and the interest in the big end of town. Also largly unknown is the FACTS by Former ORNL researchers J. P. McBride, R. E. Moore, J. P. Witherspoon, and R. E. Blanco made this point in their article "Radiological Impact of Airborne Effluents of Coal and Nuclear Plants" in the December 8, 1978, issue of Science magazine. Unfortunately all countries do not have free energy systems, and have no exposure to them other than on these web sites, and in a few people's garages and basements. The information and proofs are out there but no one in power is interested: The Universities refuse to study them, corporations refuse to build them, and politicians refuse to admit they exist. Are you a member of a foundation that can help Panacea-BOCAF? Grants can be arranged in a number of ways in order to minimize the required resources. With a publicly granted center, all available structural and operational services will be operated by voluntary workers for the maintenance of generic functions. Other, additional, alt/suppressed energy groups, with further input, are also recruitable. The minimum voluntary work force, technologies, educational organization and content have already been established, and are ready for unification. Grants from public hands are required in order to reform and re-establish the essential liberties of the public and to provide the conditions for producing clean, free energy for the future of our children. Panacea is a non-profit organization which provides the secure avenue for the application of grants towards these tasks. The resources needed are already there to be managed and applied, in fact, in the U.S. alone, the non-profit industry is a 200 billion dollar a year network. The combined population of the world outnumbers the corporate money structures - when consolidated for the offering of grants. Institutions like the Gates Foundation, along with other charities like Richard Branson, could easily provide enough support when put together. With a percentage of further public input, all goals can be reached. PLEASE CONTACT PANACEA AND DONATE! The public also have the capacity to lobby for the reformation of their elected governments, to request them to allocate sponsorship and contributions towards the establishment of The Panacea R&D Center. This can entail space, and equipment donations from established faculties such as universities. Co-operative governmental organs can also provide additional resources and conditions. Panacea have a planned criteria to take education and devices, disclosed in the Zero point energy section, into universities, R and D faculties and to media outlets. Evidence of energy suppression will also accompany the device disclosures. These gestures will generate awareness of the overwhelming evidence of energy transformation principles that have been suppressed, are currently unknown and - all in all - lack investigation from the mainstream scientific faculties. The proposed Panacea media script can be accessed from the FREE Energy Suppression section, under 'Media script'. Alternative and suppressed free energy technologies are held down, almost primarily, by political influence. The establishment of the public granted center, by public hands, is the only avenue which can provide the secure conditions and instigate essential social reforms that are made obvious by the related education. These technologies are critically needed in order to produce environmentally sustainable results and solutions. A segment of the center's faculty division will devote itself to the upgrading of the curriculum. This segment must, however, be contracted, and commissioned, in a non-corporate way, by the public grants, in order to be able to secure this field. The result of the total evidence laid out on these pages, through more than 100 years of collective history, makes it obvious that, due to the political and economic reactions to the nature of these technologies, the seeking of a corporate route for the widespread commercialization and disclosure leads to total failure (see the How They Went Wrong -article). Only a publicly granted center can enable the devices and knowledge to be secure and known to the public worldwide. From the already publicly available resources, a public lobby submitted to the government, coupled with grants from the public, will provide the talented engineers with the much needed resources to upgrade, build and disclose the suppressed/alt energy technology. The center will enable the communities involved to continue their opensourced education. As a result, the technology will remain un-regulated, free and protected. Evidence of present conditions, documented on this site, proves that the public must become self-sufficient in this task, for the government and the current energy cartels are un-regulated when addressing the protection of these technologies. The currently mandated bureaucracies and energy cartels CANNOT PROVIDE SUPPORT, OR SECURITY, FOR GREEN, NON-CORPORATE, ALTERNATIVE AND SUPPRESSED FREE ENERGY TECHNOLOGIES that are available to be put into production NOW, without the intervention of the public and Panacea. The US Patent Office has 1000's of patents "protected" for "National Security reasons". If this is the excuse to keep the technology under wraps, then what is the excuse for the patents of all those inventors (worldwide) who suddenly disappear, die, or are simply bought out? Is the patent office service really up to scratch and requires no scrutiny? Also it appears that inventors cannot get a US patent based on Cold fusion and or "free energy" Quote -Arie held several patents. The ones on alternative energy were mostly held at WIPO and filed in the Netherlands because the US patent office are such biased bastards that he did not waste time or money on them if the invention was at all close to cold fusion or free energy.-End quote. Can you make sense of why their institution would not need reformative remodeling to increase their immunity against spurious influences? There is no law in the patent office preventing a FREE ENERGY device, (which deserves far more merit for having security for humanity then any other technology) from being stolen and shelved from the public. All under the guise of "being sold to another company". More Justification for regulation to prevent the theft of patents, as they are not the SALE of patents but suppression- Can be seen in the following example. Not only are the free energy device patents suppressed, but also the ones right in front of our eyes. Energy cartels also bought patents to prevent modern NiMH batteries from being used in US electric cars". This is the direct reason why up to 4 electric cars have been scrapped. - Reference. period of time.Corporations and "vested interests" have ways, of letting you think you control your ideas, and when you get to the point of development interesting to them, there are gag orders, grab orders, etc. and their's nothing you can do. The Panacea site also has the capacity to collect data from the public lobby and to address these conditions at the federal level. THE PATENT OFFICE HAS A DUTY OF CARE, IN ORDER TO NOT BE RESPONSIBLE FOR CREATING THE CONDITIONS WHICH PREVENT THE RELEASE OF GREEN SUSTAINABLE TECHNOLOGIES FOR ENSURING THE FUTURE OF OUR CHILDREN. Tom Valone is a former patent examiner who was fired a few years ago from the patent office and recently won a lawsuit against the US Patent Office, Tom was awarded reinstatement and six years of back pay. Dr. Thomas Valone, has estimated that Patent Applications for FREE ENERGY related devices have been "secretized" over 3,000 times over the years. As a former Patent Examiner, I can tell you that the number of "secretized" patents in the vault at the Patent Office (Park 5 Bldg.) is closer to 4000 or more. 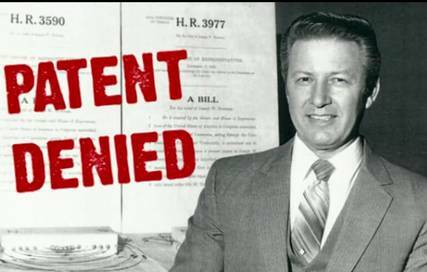 They [applicants] never receive a patent number, and the inventor is rarely, if ever, compensated by the government for use of the invention.Since you have taken the initiative to start this process, we can help by contacting our Congresspeople and asking them to send letters to Congresswoman Berkley in support. The evidence in The Disclosure Project details why corporate interests should not have the power to decide what is in the best interest of the public, via their influencing of patent office. Laws must be created and enforced to immunize the society against this form of corruption, which is against the interests of the public. It is time for the public to unite against the obsolete corporations mired in greed and hungry for power, and which continuously threaten those who endeavour to lighten the burden of material existence - through the providing of free energy technology. These conditions need to be addressed in the public sector, and will be via The Panacea Center. The content on our site will provide proof and also educate why our curriculum needs to ster away from creating a consensus reality which is couched in the CONSUMER role, to blindly follow the most popular, the most charismatic, and in the background, the most financially powerful. The public are further easily led towards the convenience of people who constantly feed them the consumer mentality of "As long as it doesn't affect my lifestyle (needs), and my little corner of the world, why should I care?" When life does change, the public complains; if it changes enough, they get desperate for change. Over 3 years of Panacea's research into suppressed energy, and the conditions in the current energy market, has shown that releasing technology of this nature to a select few creates further division between those who have the technology and those who do not. Allowing the fate of these technologies to lay in corporate hands (like the patent office - or relying on business to fund it - when they are uninterested because they cannot put a meter on it - i.e. they are unable to charge for it) enables the select few selfish, environmentally unsustainable businessmen, to decide who gets to be the "elite" and who gets the 'power'. This self interest is a mental illness, and needs to be addressed in a humane way.Even if a person has the honest intention towards advancing all humanity by this or that technology, he/she still has the subconscious programming influencing the person to make money beforehand, and thus will not release it if he or she cannot 'make money' to pay his or her living costs. The code for this is "There is no such a thing as a free lunch". Ask yourself this: if everyone gives everyone else a free lunch, is there such a thing as a free lunch? Did it suddenly appear out of the blue, or was it a public, worldwide decision to change the rules of the game? When this individual, as demonstrated in the past, tries to succeed, by jumping through the hoops provided by various patent offices and to also deal with legislation, (which is not currently up-to-date in regards these technologies)- the elite will act to keep their financial security and the security of their families, safe, by not allowing the public to gain use of this technology. Desperate men do desperate things to gain power, control, and to suppress the competition. Last but not least, the energy cartels, who now control the power/energy industries, and who finance certain political campaigns, can easily suppress a "select few". They, however, cannot suppress a numerous, public funded, opensourced team of individuals. This team will function at The Panacea Center.The proposed center and the disclosures through the internet are thus critical, and must be pursued, at all cost, to provide security for these inventions. Panacea's study, and protection, of past suppressed and alternative technologies will be operated by a trust. The trust will operate to publicly disclose the progress of opensourced and licensed technologies. The disclosures and educational courses will also be provided via the internet. The Panacea Center will teach the technologies, one step at a time, to those who have enrolled into the university faculty division. One step at a time, beginning with the essential philosophy, ethics, and ideology of the humanitarian relevance of the technology. The purpose of this education is to develop a grass roots alumnus of responsibility in students to collectively take this integral research into the future and world-wide and enable social equality driven by ethics, not by economy or business technology. The students will possess the will and knowledge to govern themselves for the benefits of their fellow humanity. The Internet faculty courses will also provide secure public access and keep the information readily available to students. When the public realize that opportunities for reform are possible through a communal effort that is structured and well researched with all the necessary implementations, can you imagine the rest of the progress that will follow? Panacea present many of the solutions to logically address sustainable development. These include fair and equitable banking reform (to be fairer to the public). The teaching of ecology, and conservation, in schools. The provision of help for the third world, and other countries, with hemp production. Hemp production will enable poor countries to become self-sufficient and to provide themselves with the basic necessities of life: food, clothing, textiles, building materials and ENERGY. Please sign the petitions in the Hemp section, to form a public lobby to make these issues a reality. The public, then, having this form of self-sufficiency, will create social reform, and further enable the returning of ownership of their lives back to themselves and thus the public will be able to quell the current environmental subjugation. These alternative technologies are the well-being humanity needs, to live safer, more sustainably and increasingly more responsibly, in order to heal mother earth for the next generation, and the generations after the next. Wars do not have any premises, once the technology and equality enable the unfolding of individual lifeopportunities and the general well-being/happiness of the whole. Current, corporate, energy technologies cannot then be in charge of limiting the public, when countries have hemp production, which The Panacea Center will produce research and applications of/for. This is the only form of security that will reform the cartels and industries which currently cause class and environmental subjugation. The public needs to be aware of the finer details of energy suppression, the finer details of the opensource community of engineers, the technologies which are already ready, along with the R and D principles which can be resurrected and perfected. It would also be beneficial to be aware of the capacity of the non-profit industry to provide support towards all of this, when the public proceeds to contribute grants. Your Panacea organisation, along with the support of governments and universities, can, by borrowing equipment and resources, mark history, by ushering in the end of our dependency on fossil fuels. Input by you, the public, is critical when it comes to donations and support. Your contributions are vital and, really, the only way to win.Please review the FREE energy suppression page to determine your possibilities of contributing towards the functioning of the center. Your grants are required in order to recruit the engineers and to elevate the current stage of education towards a more practical and accessible productive public result. A note to current open-sourced engineers who are already contributing to the field but are not known to, or mentioned by Panacea: please sign up towards this task - this can entail the providing of time, resources, equipment, or voluntary work, or even education. Participation, even support in ANY way, needs to be registered, we need to show we exist, so sign up! Panacea reasons that if all the scientific and philanthropic groups pledged A SMALL AMOUNT EACH, ANNUALLY, the research and development center could function to capacity. Most philanthropic groups give out lump grants towards one instance. If ALL the philanthropic groups COMBINED gave out a SMALL lump annually, together they could build our a children a sustainable future. Panacea will also ensure that once these technolgies are developed, that the third world and poorer countries will have public dissemination. Panacea is a non proifit orgnaization and intends to help those less fortunate. PLEASE HELP BUILD OUR CHILDREN A FUTURE. Here is an open letter which can be forwarded to ANY scientific or philanthropic grant foundation. You, dear reader, are able to help Panacea-BOCAF, by forwarding the proposal to anyone you feel can help us achieve our aims. We make sure that our aims are balanced, and that at the core of our aims is the betterment of quality of life for all of the people on this planet. I.e. instead of us having ourselves in mind, we have everyone on this planet in mind. This should be the thinking of any member of the crew of this beautiful spaceship earth (there are no passengers). The next section will cover the technical content which will be taught and studied at the faculty centre. All the following content will be prepared to pilot scale feasibility and applied towards the creation of devices to be used for public free energy.